Bahrain, 01 May 2015: Bharatanatyam is one of the most popular ancient South Indian dance form that uses subtle eye movements, hand gestures, and graceful footwork, accompanied by soulful music to communicate a poetry or story in visual form. Bharatanatyam is traditionally set to Carnatic Music which combines ’Raaga(m)’ and ’Thaala(m)’. Arangetram is the debut performance of a student of Bharatanatyam. It is a thanks giving event by a student who seeks the blessings from God, Guru, Parents and Audience. Students performing Arangetram needs lots of hard work, dedication and rigorous training under a Guru’s for a period of 4-6 years. Six budding dancers Ashel Mercin Castelino, of Asian School, Bahrain (D/o Arun and Alfreeda Castelino), Aishwarya Aravapalli (D/o Bala Muralidhar and Kalyani Arvapalli), Amna Nouushad (D/o Noushad Hameed and Saleena Noushad), Dharshini Selvakumar (D/o Selvakumar Sambandam and Jayanthi Selvakumar), Nikhitha Krishna Priya (D/o Krishna Balijepalli and Saraswathi Balijepalli), Shiny Capistan (D/o Michael J A Capistan and Viji Capistan), are performing their Arangetram at the Bahrain Keraleeya Samajam (BKS) Auditorium, Manama, here on Friday May 8 at 7.00pm. These dancers have trained under the watchful eyes of their ‘Guru’ Nritya Kalaratna Hansul Gani. Gani is a disciple of Kalarani Ramachandran and graduated from the Nrityanjal Dance Academy, Madurai, India. Gani is having her dance academy in Kannada Sangha and is working as a dance teacher in New Millennium School DPS. The Chief Guest for the event will be Dr Fakhria Diari, former member of Shura Council, general manager of Al Faker for Social Health Center, Bahrain. Who is an admirer of Indian art forms. The guest of honor will be Molly Treasa Mammen, principal of The Asian School, Bahrain who is a leading educationalist in Bahrain. Nice to see you and proud of you. Keep it up. Congratulations Ashel. Wish you Best of Luck. Congratulation Ashel and Good Luck. God Bless you. Congratulations Ashel. You have made your parents and us all proud. Keep it up. It is a tough art form and I firmly believe you are capable of achieving it. God bless you. Congrats Ashel.We are Proud of your great achievement.Keep up the good work and make your parents and our family ever proud.May your wishes and desires be fulfilled and may God bless you.All the best for your dance performance and special wishes from Alwyn,Lavina,Allan and Alvina. As an uncle and aunt we are proud of you Ashel. Your hardwork has yielded a very good result which will take you a long way! Our blessings and prayers are always with you. Congrats to Arun, Alfreeda and Ashton too. God bless from Lily Mai, Uncle Melwyn, Aunty Wilma and Aloma. Congrats Ashel, we are proud of you! As a cousin you have bought name and fame in our Castelino family. Keep up the hard work and Good Luck! Congratulations Ms Ashel, and Family. Nice to hear. Congratulations to all the six budding dancers. 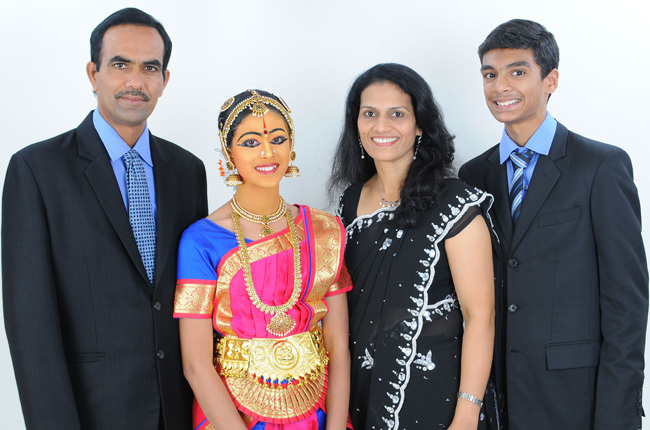 Appreciate their dedication towards traditional Arangetram and Bharatanatyam. Thanks Joel for the beautiful pictures and brief article. Congratulations Ashel, Arun and Alfreeda.